Here are some highlights of a praise worth piece in the Huntsville Times. "Joseph was diagnosed with Type 1 diabetes at 13. He had no family history of the disease and was an active and healthy child who would give up sweets for home-cooked vegetables. "One of the most frustrating things for Joseph is most people's misunderstanding of the differences between Type 1 and Type 2 diabetes. Many people do not realize the two are totally different. 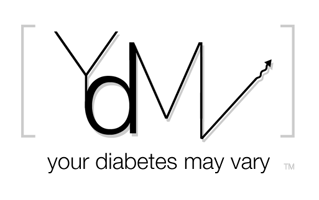 Type 1 diabetes means your pancreas no longer produces any insulin. You are completely dependent on getting insulin through shots or with a pump. "After one of the first (football) games of this season, The Times called Joseph an "unsung hero," referring to his efforts in the previous game. "Little did the writer know just what an unsung hero he actually is." how did you find that article? I live in Decatur Alabama which isn't far from Huntsville. I have a Google alert search news stories for diabetes type 1. Have you found Meredith Cummings articles in the Tuscaloosa News? Google alerts first put me on to Meredith. Happy New Year to you Bernard oh and Happy Halloween too.